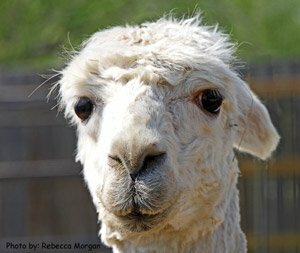 Camelids originated on the Central Plains of North America, around the Sea of Nebraska that ranged from today's Texas North to Nebraska, about 40 million years ago. By the end of the last ice-age (7000 to 10000 years ago) Camelids were extinct in North America. Some crossed the Alaskan land bridge to migrate to the Middle East and become various Camel species. Others migrated to the low, hot wetlands of South America to become Guanacos and Vicunas. It was the Incas that created Lllamas and Alpacas by carefully inter-breeding the above to create first a livestock animal we know today as a Llama and then later the Alpaca which today is found in 2 sub species, Huacayas, a curley haired version and the Suri, having dreadlcok type fleece. 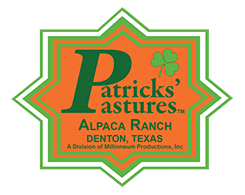 Alpacas were domesticated about 5,000 years ago in South America, to provide fine clothing for Inca Royalty. They were close to annihilation after the Spanish conquest about 700 years ago, when the Spaniards in search of gold attacked the Incas for their gold. the Incas retreated to the Andes Mountains where the Spanards primative gun powder would not ignite and where altitude sickness stopped the Spanish and it was not until the mid 1800s that alpaca fleece was rediscovered and world interest awakened. Llamas were used primarily as pack animals and were an integral part of the Inca economy. Llama fibre was used for clothing, saddle-bags, and made into products, thongs and weaving tools. Llama dung was used as a source of fuel on the treeless puna and also as an essential fertilizer for potato production. Sacrificial llamas were an integral element in the special ceremonies and rituals of the Andean culture. Guanacos and Vicunas are still found wild in regions of South America. They are smaller than their cousins the llama and alpaca...today, all are also harvested for food.